Jack celebrates as he is crowned World Champion in the 15-16 age category. After a year of hard work, pushing through injuries and setbacks, he and his coach has achieved their goal. Read the full report from the Worlds here. 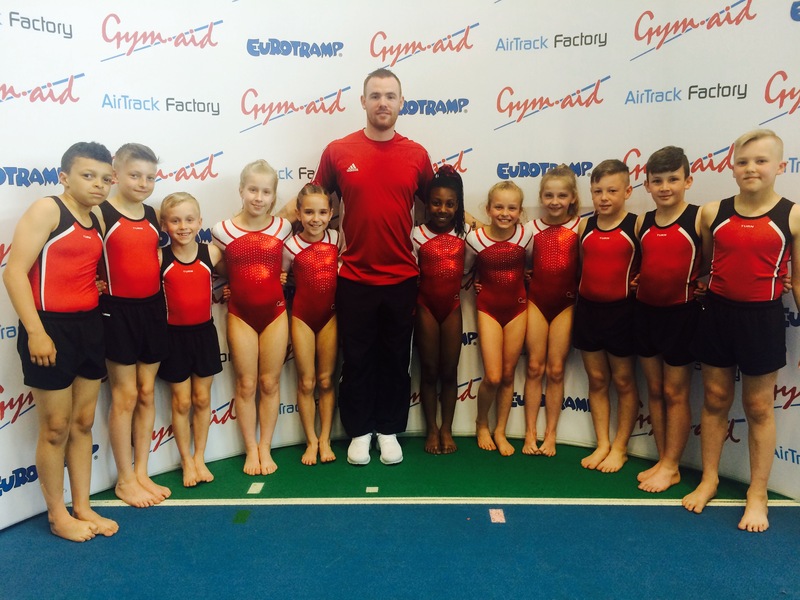 Great results at the Tom Wilson International with some outstanding gymnastics. We have overall champions by the names of Jamie Ward, Mathew Ingram, Peter O'Brien and Ethan Clarke. 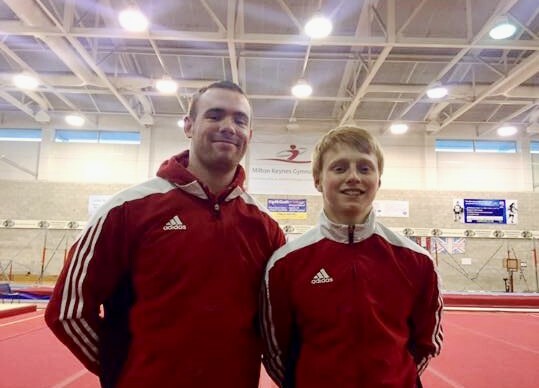 Mens Artistic Boys enjoy Regional Success. 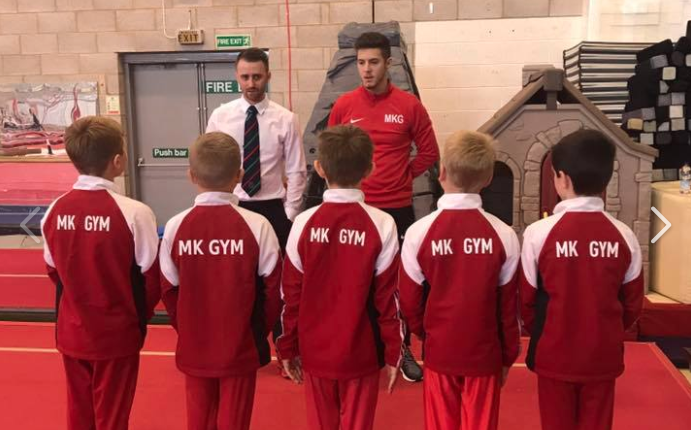 MK have two regional champions and five qualifying for National Finals! 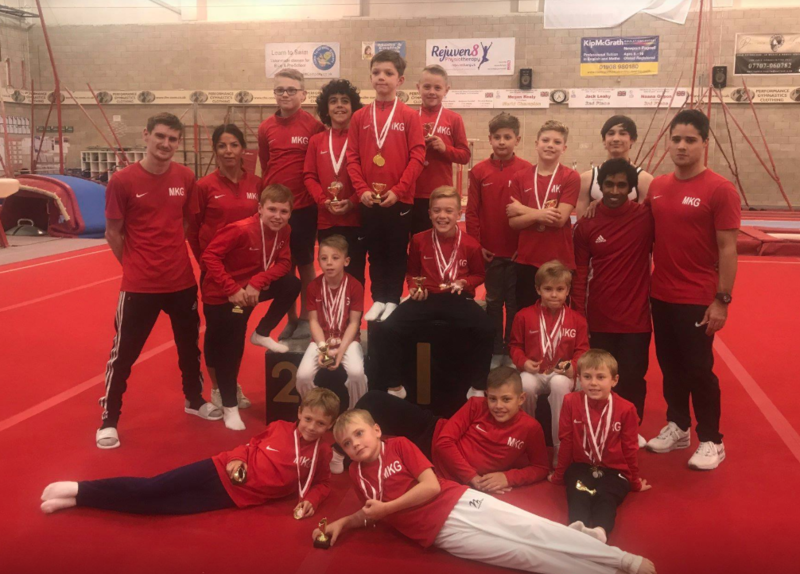 Eric Breslin and Ethan Clarke claimed Gold in Club Level 3 and Elite Level 2 respectively, whilst Cameron Barnes, William Jefcoate-Scholes and Jamie Ward all qualified for National Finals in November 2018. The BEST in the WORLD train at Milton Keynes! 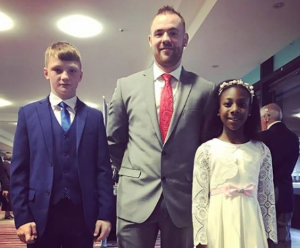 Megan Kealy is celebrating the ultimate accolade a sports person could dream of as she is crowed World Champion at the recent World Championships held in Sofia, Bulgaria earlier this month. Will Breslin – 17-21 Boys. 7th Place, Ben Goodall – 17-21 Boys. 8th Place. Club Level 2: Cameron Barnes, qualified 6th. Elite Level 1: William Jefcoate-Scholes, qualified 3rd, Thomas Burford qualified 4th. Elite Level 2: Emilio Lagoia, qualified 2nd. 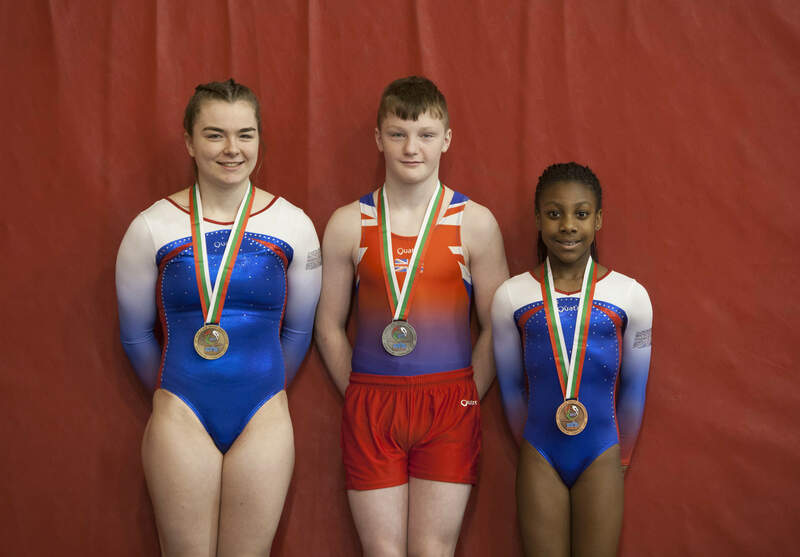 Ellyssa Nicolls did the gym proud by winning the Overall Bronze Medal. Fantastic routines from Ellyssa and the entire team. Well done girls and a huge congratulations to coach Kati. Cameron Barnes put MK Gym on the Map at the prestigious London Open this month! Cameron's Pommel routine won him a Silver Medal in the Club Level 2 category. Well done Cameron! 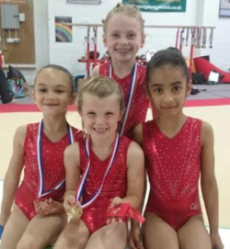 The following MK tumblers competed for TeamGB and all won Gold! Tumbling, Loule Cup Portugal Selection. 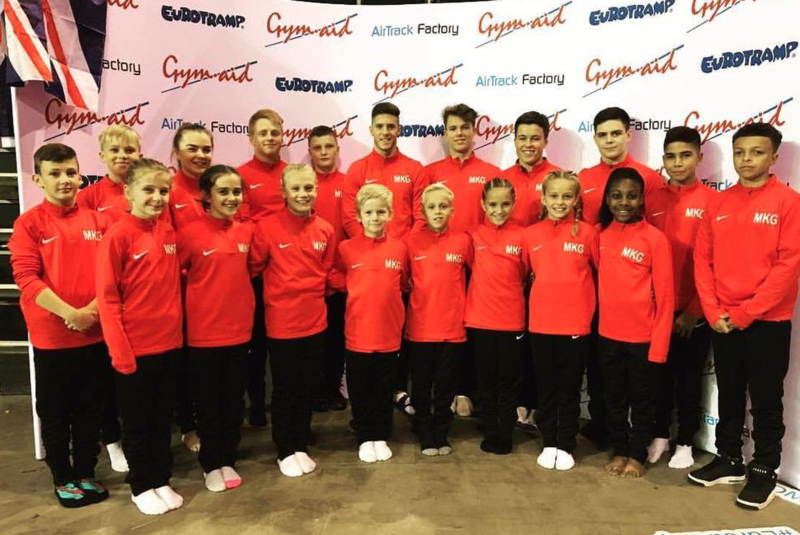 The following MK tumblers have been selected to compete in Portugal for GREAT BRITAIN! Team Gym Squad, 2 Golds and 1 Silver! Thomas Burford, 3rd on High Bar. 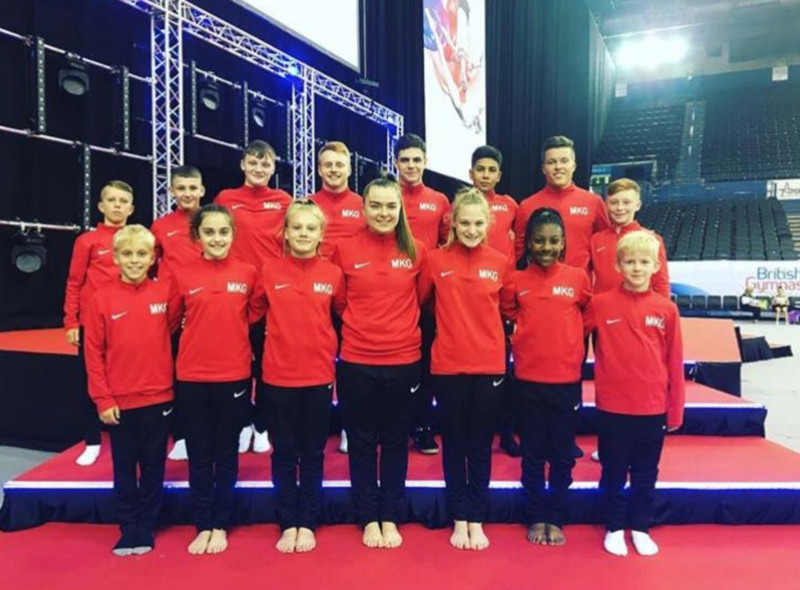 This year’s Tumbling British Championships was set to be a spectacular event, held at the prestigious Echo Arena, Liverpool from the 1st – 3rd July 2016. 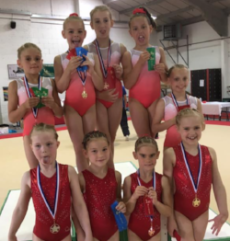 Over the course of the year gymnasts from all over the country including international guests have battled it out over two qualification events to earn their spot in the top sixteen to head in to the British Championships. 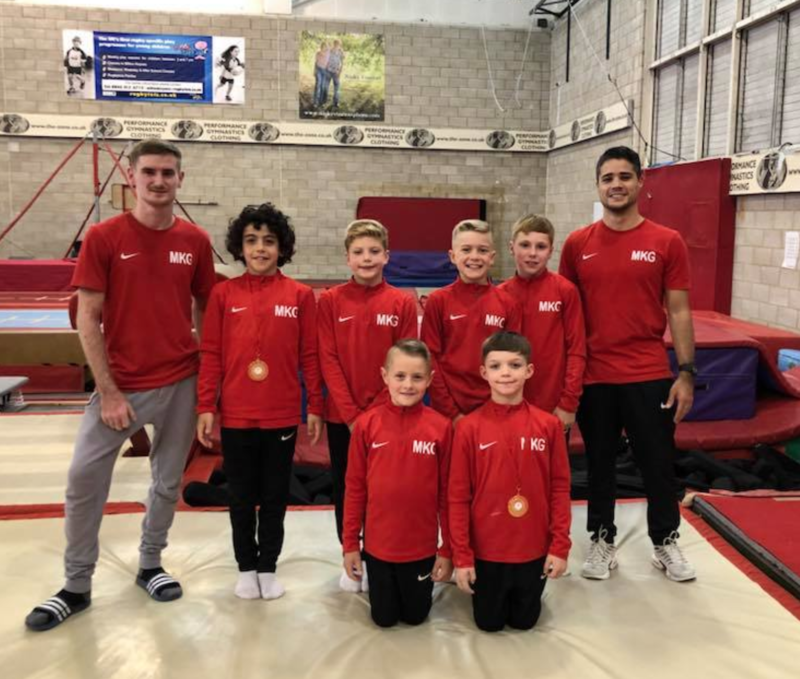 Milton Keynes Gymnastics had eighteen successful athletes gain their place making them one of the biggest clubs in the country attending the event. 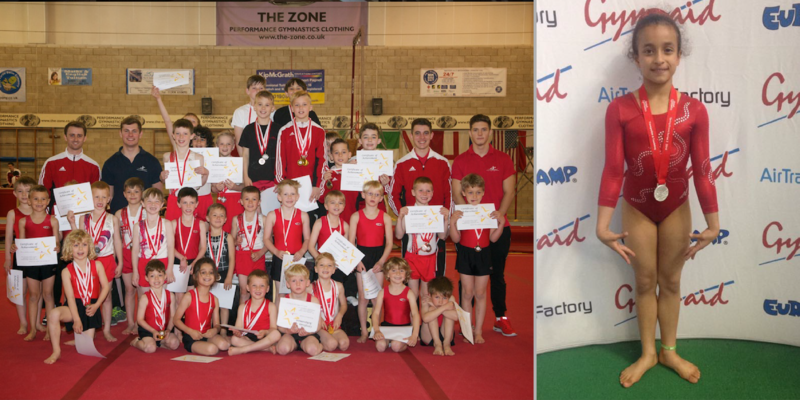 The MK gym trampoline team visited Stoke Elite Trampoline Club for an open invitational competition on the 11th and 12th June 2016. We took 9 competitors and came away with 6 golds, 2 silvers and a bronze medal! It's clear to say that everyone had a great comp! 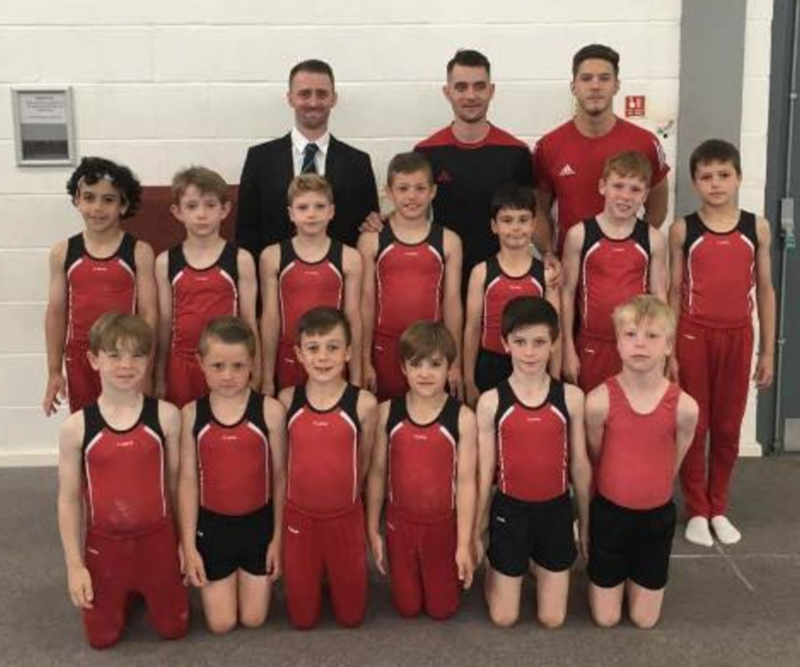 18 Tumblers qualified for British Championships for Milton Keynes Gymnastics. On the 16th – 17th April and 7th – 8th May 2016 Milton Keynes Gymnastics attended their hugely anticipated Spring Series Events, the first of the two held at the Ricoh Arena, Coventry and second at the fantastic EIS, Sheffield for their chance to obtain the qualifying score for their age group and finish in the top sixteen overall in the Elite categories. 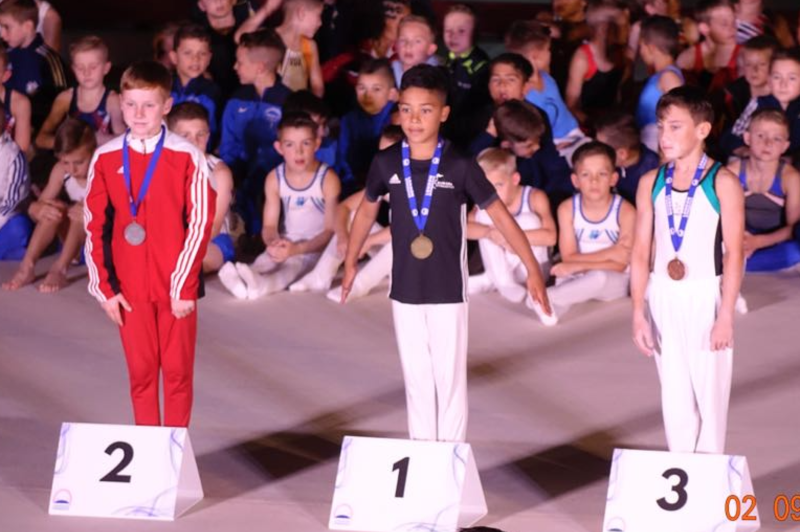 This by no means is an easy task with clubs from all over the country fighting out to get their chance to attend the British Championships which will be held at the amazing Echo Arena, Liverpool on the 1st – 3rd July 2016. 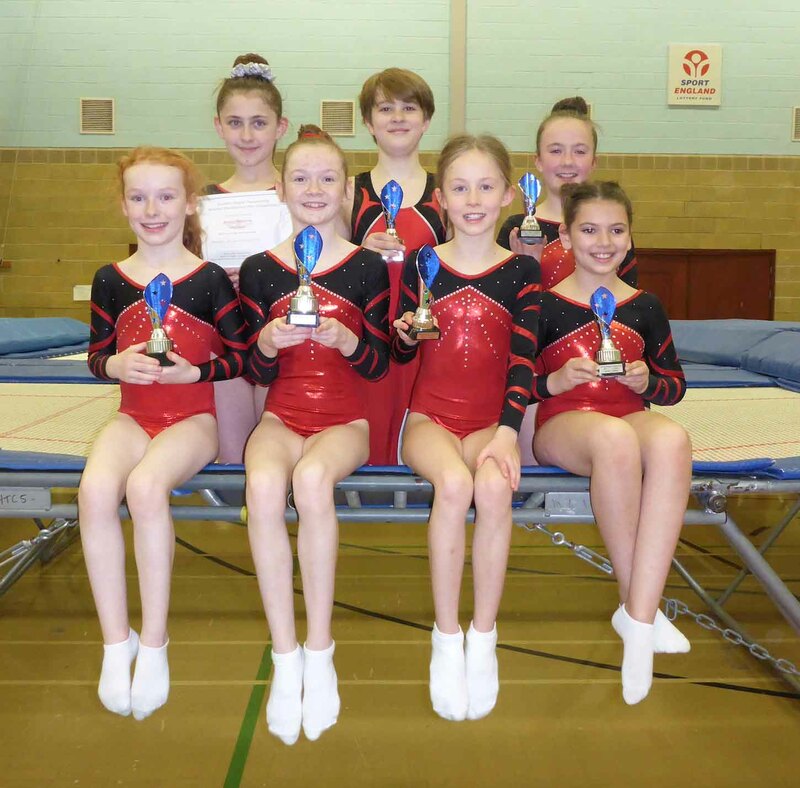 The trampolining team from MK Gymnastics put on a good show at the second Southern Region qualifier of 2016 held in Bletchley. At Level 1, 9-10, Emma Cooper continued her good form from the first qualifying round and was placed second against 25 other competitors. In her first ever competition, new recruit Grace Watson missed out on a medal position by just 0.1 coming in a very respectable 4th overall. Amelia Hemming, the team’s newest member of the squad, who has only been with us for two weeks was up for the challenge of competition. 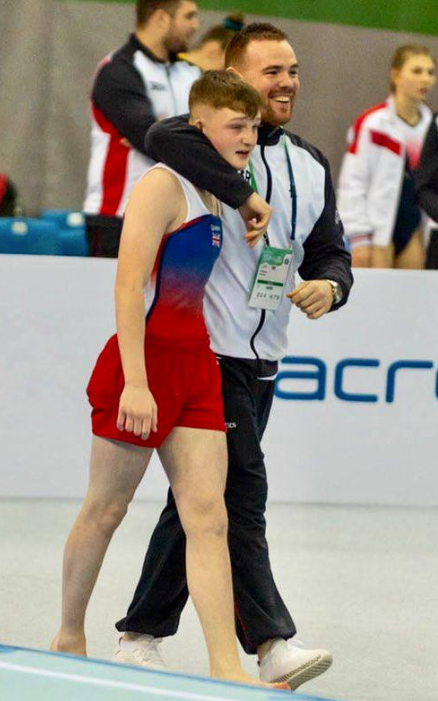 After falling in her first routine at Level 1, 11-12, she held her nerve during her second routine and was placed 22nd out of 26. 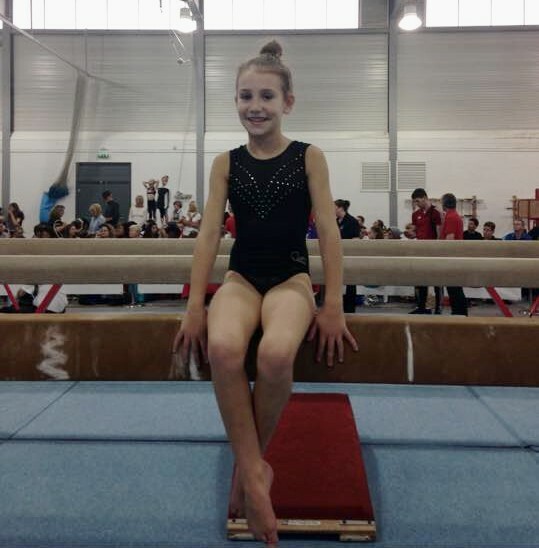 At Level 2, 9-10 two good routines by Ellie Chapman saw her placed a comfortable 2nd. 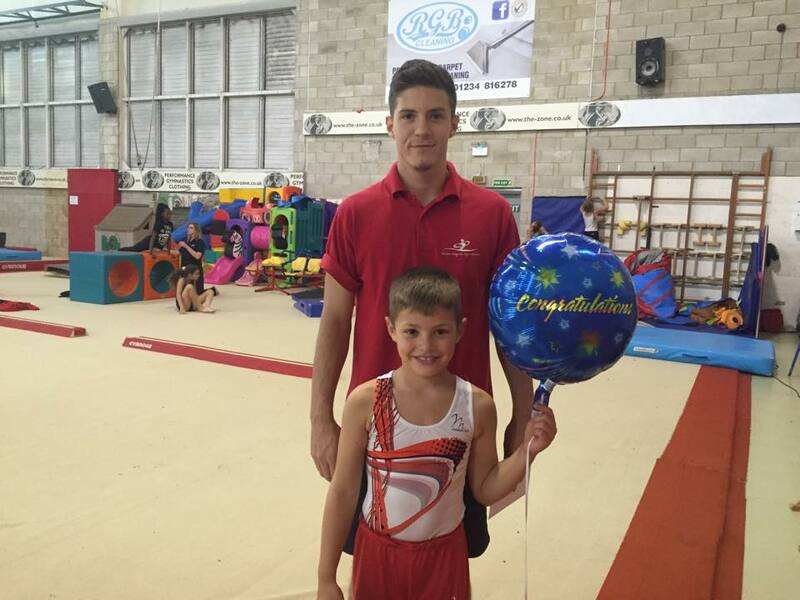 Callum Hiett’s two high scoring routines assured him the top spot at Level 5, 11-12. 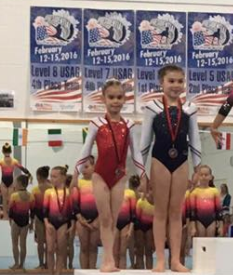 Natalie Cooper executed her two difficult routines to a good standard and was placed 1st at Level 6, 11-12. 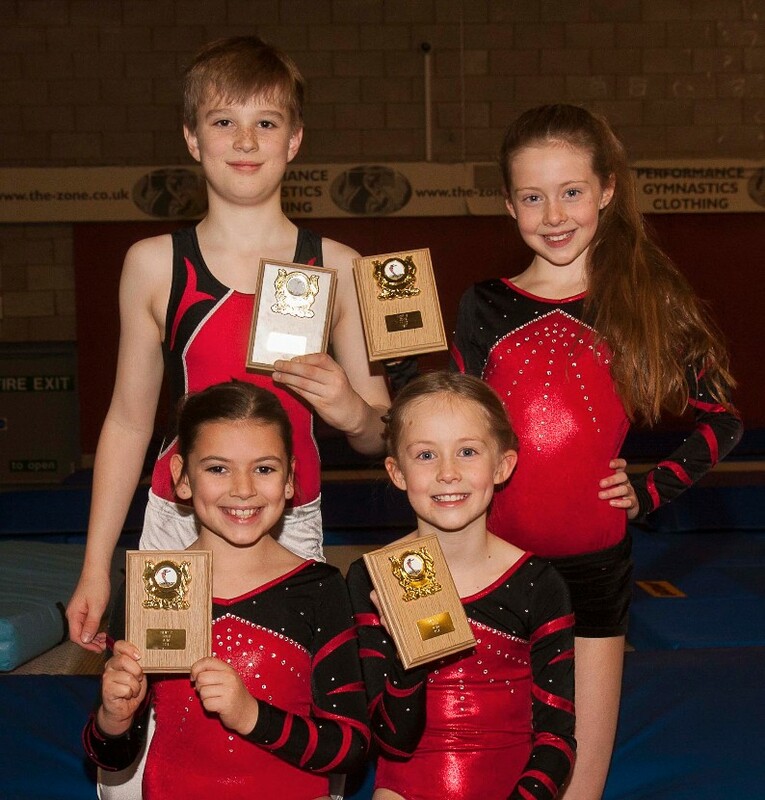 Emma, Grace, Ellie, Callum and Natalie qualified to go forward and compete in the Southern region team qualifier for a chance to represent the Southern region in the regional team finals. The performers in the picture are: (top row, left to right) Amelia Hemming, Callum Hiett and Natalie Cooper. 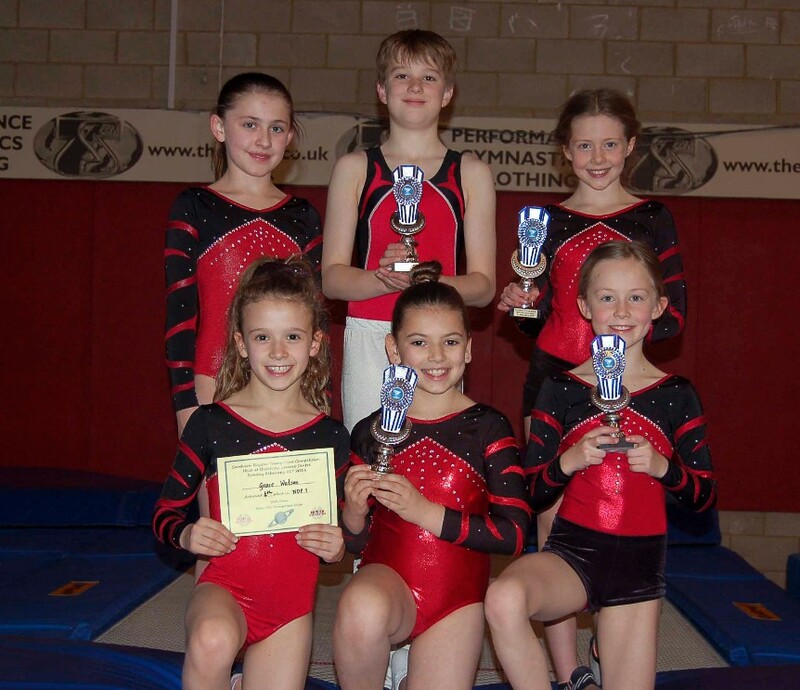 (bottom row, left to right) Grace Watson, Ellie Chapman and Emma Cooper. 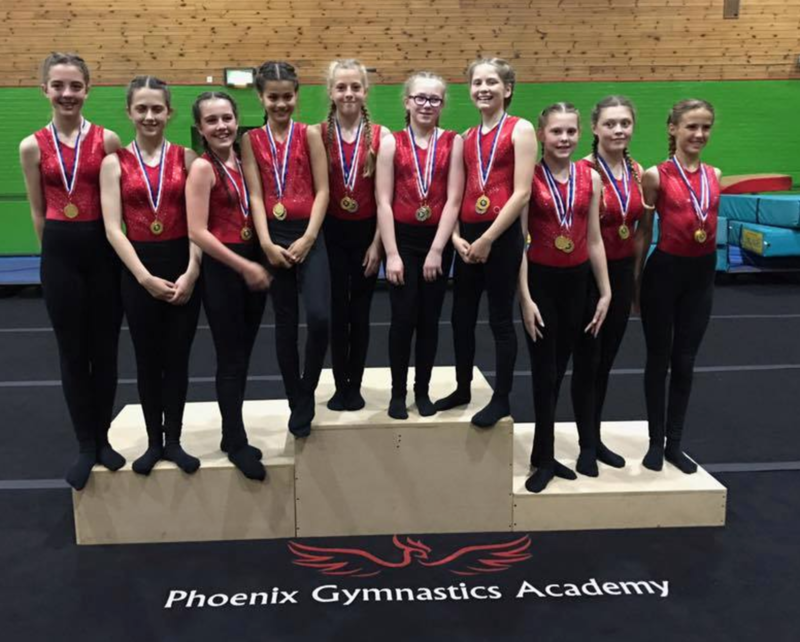 The trampolining team from MK Gymnastics came away from the first Southern Region qualifier of 2016 with four out of four gold medals. 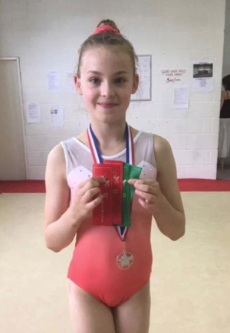 In her first ever competition, and against a strong field, 8 year old Emma Cooper held her nerve to take the top spot at Level 1, 9-10 with two high scoring routines. Ellie Chapman’s proficient performances saw her placed first at Level 2, 9-10. Two solid routines by Callum Hiett earned him first place at Level 5, 11-12. 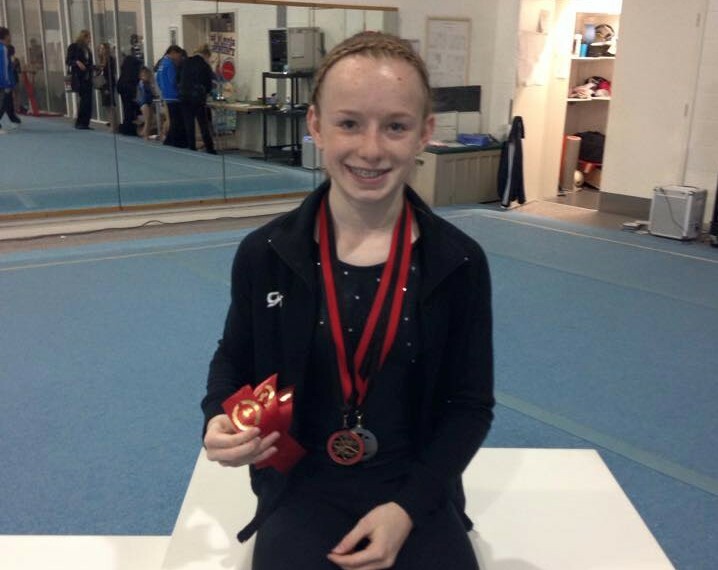 Natalie Cooper took gold at Level 6, 11-12 with her most difficult routines to date. Here are some links to our latest results. Tumbling World Championship 2015 - Results. Southern Region Mens Qualifiers - Results. Tumbling British Championships 2015 - Results. 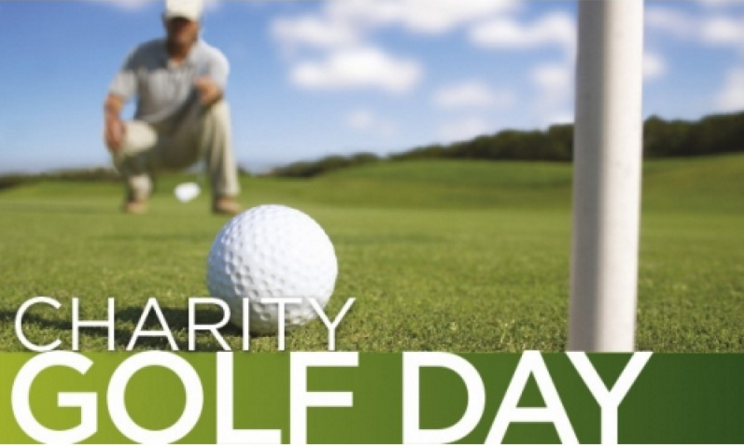 Want to win cash prizes every month? Claim your number now in our new '100 club'. We are selling each number for just £2 per month and you'll have the chance to win £50, £30 or £20! We will confirm the exact date soon! 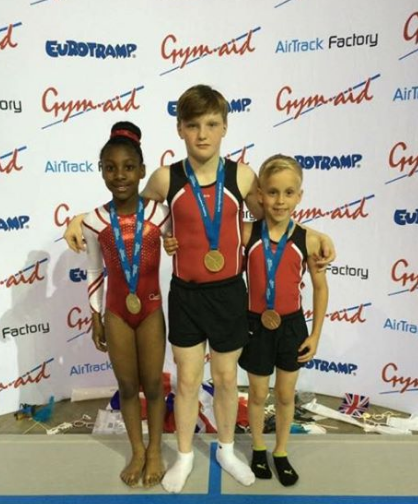 We're proud to announce that two of our gymnasts won Gold for Team GB at the Scalabis Cup in Portugal.